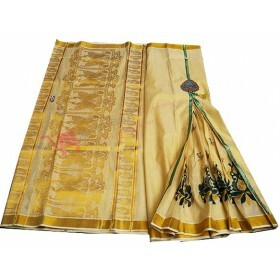 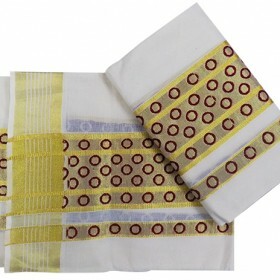 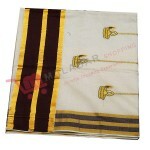 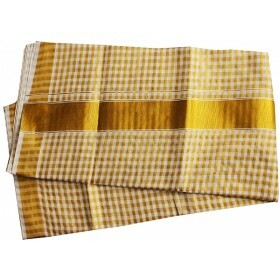 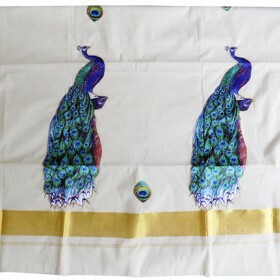 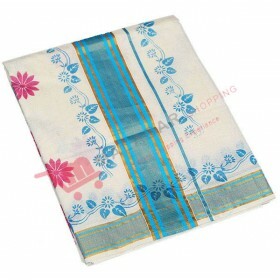 Stylish and traditional ethnic collection for Kuthampully Special Patch Krishna Embroidery Kasavu Saree. 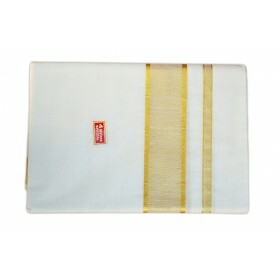 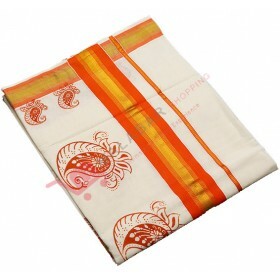 Kerala special kuthampully handloom designed with sreekrishna and deepam designer kasavu saree. 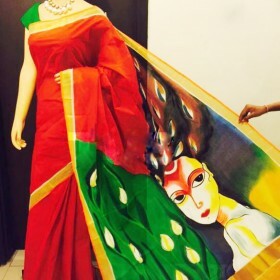 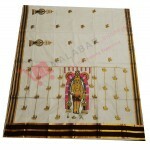 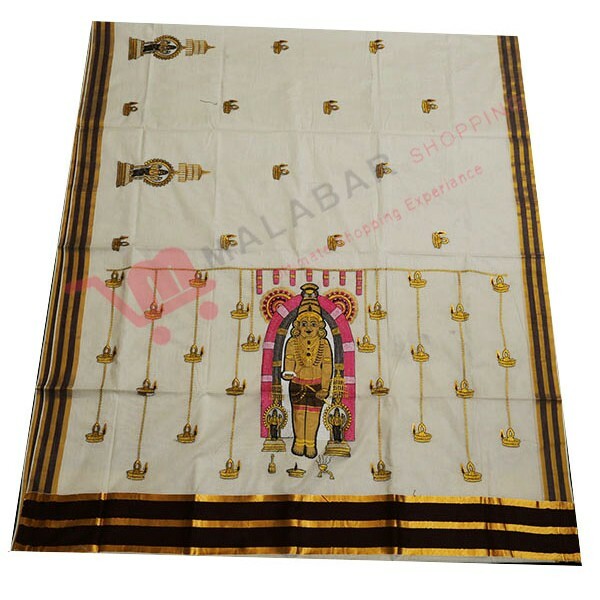 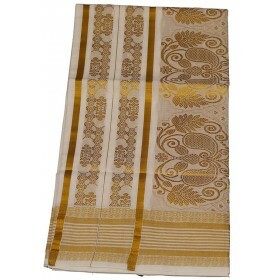 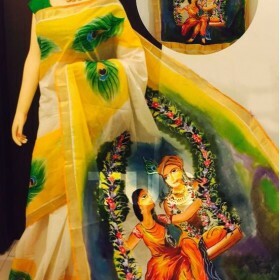 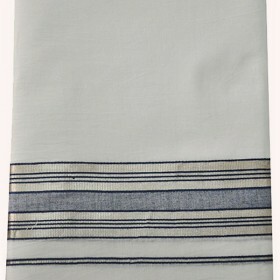 The off white saree have the coffee brown colour and golden kasavu with sreekrishna and deepam designs on the pallu and the body of the saree.